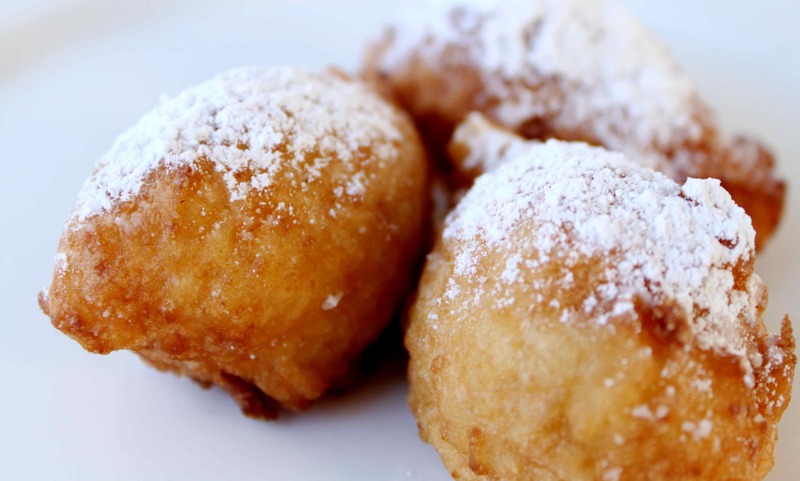 Whatever you do, don’t tell your kids what these delightful little fritters are made of. If you let them know it’s leftover rice, chances are they’ll walk away. In fact, my copy of the Oxford Teenager-to-English Dictionary equates leftovers with something a little less pleasant than rat poison. Let them figure it out on their own and I can pretty much guarantee they’ll be through most of them before anyone catches on. Instead, tell them the back story of these creamy, bite-sized cakes. Tell them how slaves in New Orleans used to sell them to parishioners after Sunday services calling, “Belle calas, tout chaud!” Tell them how the recipe came from West Africa with the slaves and how the money they earned was used to buy their freedom. Not all foods come with such history and fewr taste this good on a sunny Sunday morning with a great cup of tea. You can read more about the legend of the calas and the emotions they still evoke in New Orleans as well as how they are being saved from extinction in this Salon article by Francis Lam. 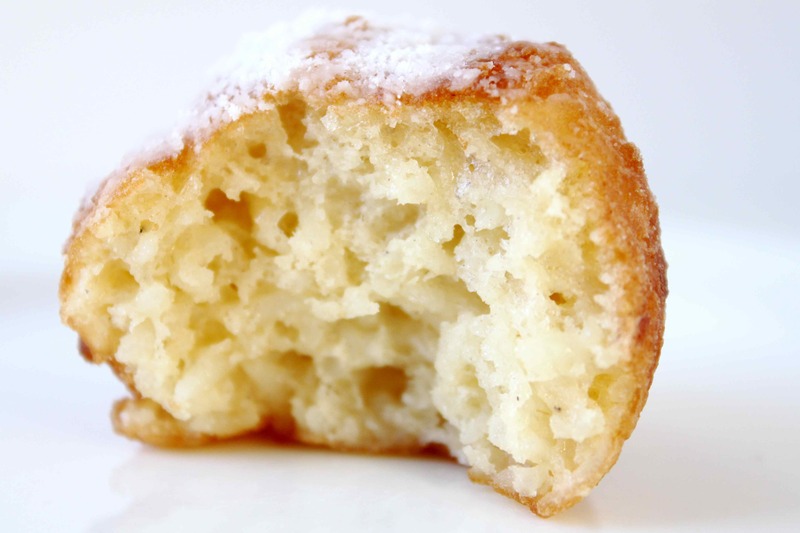 Caught somewhere between a donut and a bowl of rice pudding (leaning towards the donut end of the spectrum), calas are light and airy, yet creamy and very moist with just a little crunch near the crust. It really does take a while to figure out they are made of rice. Calas are also dead simple to make. I’ll never throw out leftover rice again. In a deep fryer or large pan heat canola oil (at least two inches deep) to 360 F.
While the oil is heating break up two cups of cold, cooked rice in a large bowl so no lumps remain. Stir in the dry ingredients and mix till rice is well coated. 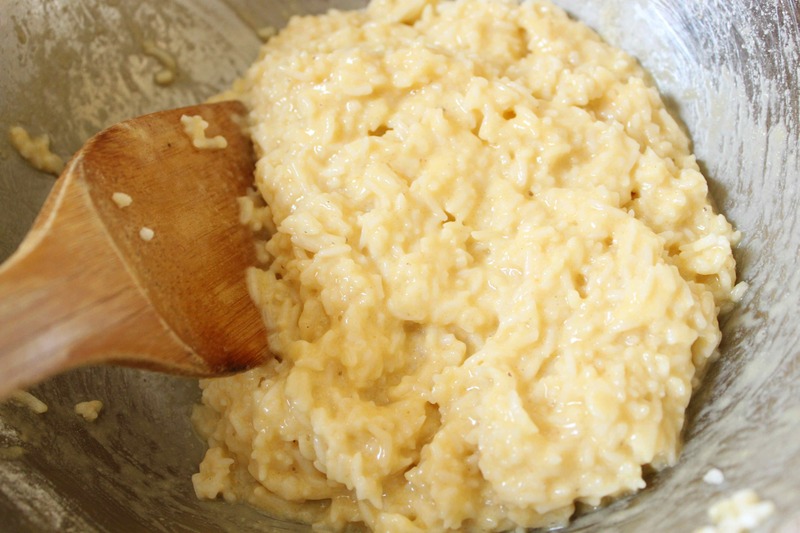 Fold in the eggs and vanilla and mix until a thick batter is formed. When the oil is hot use two tablespoons to form little quenelle-like dumplings (spoon-sized, almost egg shaped) and carefully place into hot oil (using one spoon to push the mixture off the other). The cakes will sink to the bottom of the hot oil, rise to the surface and then (usually) flip over when one side is done. Fry to a golden brown and remove to paper towel with a slotted spoon. Sprinkle with icing sugar and serve hot.